If you were relying on your phone's hotspot to take your Chromecast online, you may have noticed that ever since Play Services 11.0.55 rolled out, you can't cast from your phone to the Chromecast anymore. The issue was reported on the Chromecast Help Forum and hasn't received any reply from a Google employee or forum moderator yet. However, it does seem that hotspots were never officially supported by Chromecast since they may not count as "secure wireless networks" so Google can easily say, "well, we never said it'll work." But it did work until a few days ago and going back to an older version of Play Services (all of which you can find on APK Mirror) does bring the option back. So technically speaking, this was possible before. It's just that now, it no longer is, and those affected are understandably up in arms. They'll need to get another router and another internet plan to create a connection so they can cast from their phones, which isn't the least bit ideal. Or they'll have to go through several steps (described in the Help Forum thread) to keep Play Services on an older version, which won't be without its repercussions. All in all, if you were using your Chromecast over your phone's hotspot connection, you're probably screwed. We'll let you know if an official answer is provided by Google or if the feature comes back in a future Play Services update. 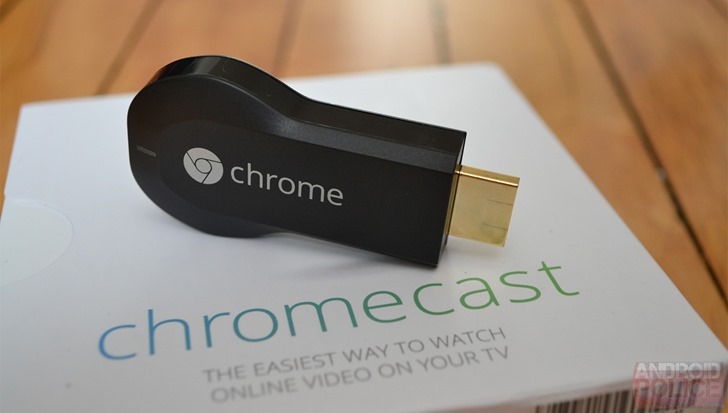 The wait is over for those who need to use their phone as a hotspot for Chromecast-powered content consumption. The Play Services 11.5.03 beta allegedly fixes this issue. If you aren't part of the Play Services beta, you can easily pull the requisite version for the fix down over at APK Mirror.